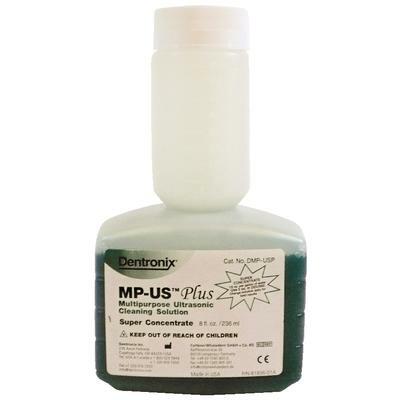 MPUS Plus Ultrasonic Cleaning Solution is a no-rinse multipurpose cleaning solution that contains a rust inhibitor and can be used in any ultrasonic cleaning unit. The 8 oz Meter Dose bottle allows easy measuring. Highly concentrated formula reduces shipping costs and storage space requirements. No need for distilled water; MPUS Plus can be used with tap water.